OK! 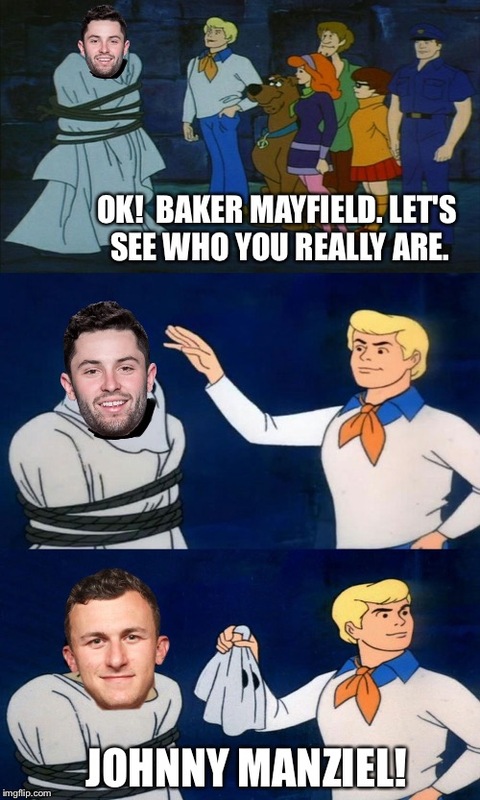 BAKER MAYFIELD. LET'S SEE WHO YOU REALLY ARE. JOHNNY MANZIEL!